This Frugi Scilly Stars Legionnaires Swim Hat is red with a starry design and provides plenty of coverage from the sun on hot summer days. 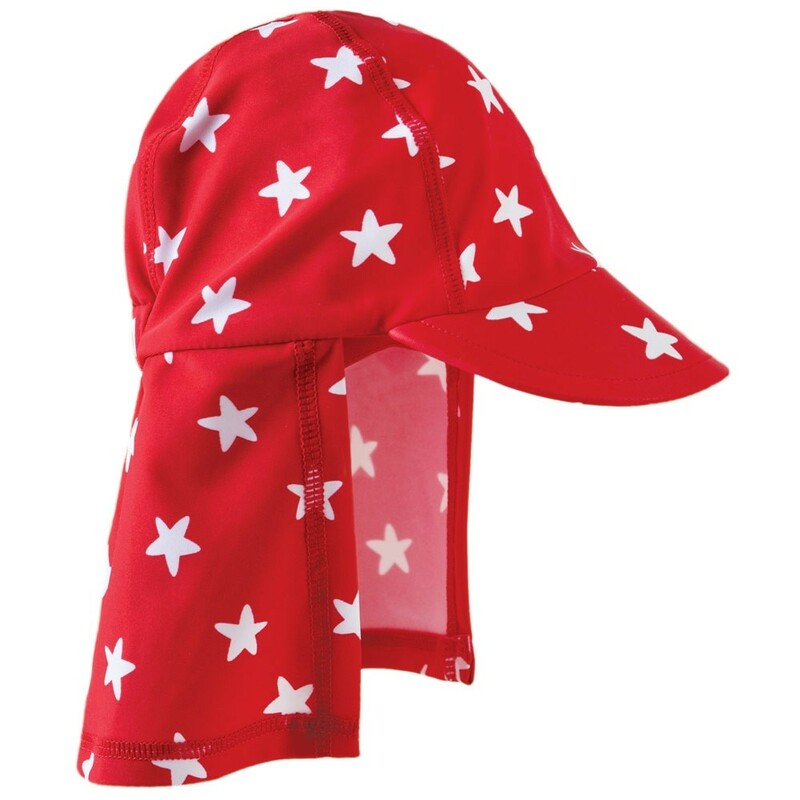 This chlorine-safe, peaked hat has flaps at the back and provides UPF 50+ sun protection. 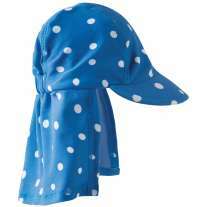 This Frugi hat is ideal for holidays, days at the beach and in the swimming pool. Team up with Frugi swimwear for a cool beach look. Ethically made from Oeko Tex 80% nylon and 20% elastane. 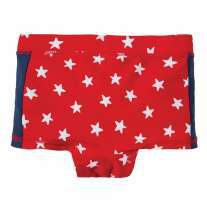 Frugi baby clothes are a hit with green parents who want to buy natural, sustainable kids clothing. Bright and colourful with super ethics, embrace the ethical fashion revolution with Frugi.